Contemplating Divorce? There is plenty to think about. There’s an old adage; “The most important decision you will ever make is who you choose to marry.” If you are preparing to divorce, then you are probably painfully aware of the truth in that statement better than anyone you know. Divorce is a very difficult process no matter how sure you are you want to follow through with the decision. Divorce will change you, your spouse, and your children – forever. Who you choose as an attorney to shepherd you through this process will impact you, your children and the coming generations of your family. It wouldn’t be too dramatic to say how you choose to divorce, and who you use to guide you, is at least as important a decision as deciding to marry in the first place. Divorce entails the separation of living quarters, the division of personal belongings and financial assets. It requires that decisions about how to parent your children will need to be made, and made quickly to minimize the damaging effects of divorce upon them. 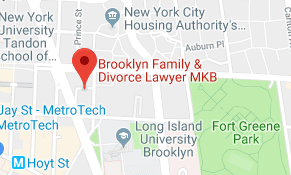 In a city like New York, it’s not always easy to find housing, much less affordable housing and many couples are forced to cohabit throughout the divorce process; and this can sometimes be tricky to pull off. New York is a “no fault” divorce state, which means that you don’t have to produce and prove a claim to justify your divorce. It doesn’t matter whose fault it is. The period of separation is six months. New York State has several other unusual requirements, for instance, child support is paid until your child turns 22 years of age or is fully emancipated. Child Support is always paid directly to the custodial parent, even when your child has moved out of their home and is attending a University. New York State is the only state that provides a tax credit for low income non-custodial parents who pay child support through the state system, and make less than $37,780 a year. 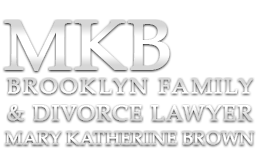 The Law Offices of Mary Katherine Brown offer the convenience of allowing you to begin to prepare your divorce paperwork immediately. These days, approximately 70% of individuals attempt to represent themselves (Pro Se) in divorce actions – at least initially. Certainly, it’s possible to represent yourself in situations where there are no assets, no property, no children, and no debt between the parties; and you each agree on a solution. Even then, getting some help is, well…helpful. 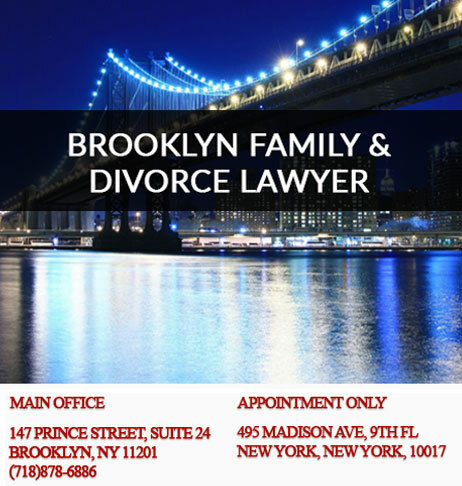 We provide the divorce documentation required and three (3) hours of consultation (not representation) for $1500. This most basic no frills divorce has 57 pages of documentation required by New York State, and you should understand the consequences of choosing to represent yourself before you move forward. A divorce with assets that begins with a legal separation, navigates through custody and asset negotiations and is about “average” in terms of the level of conflict will generally take 32 to 40 hours of consultation, court appearances, and drafting unique documents to your situation, plus the cost of filing fees. With an attorney that is looking to minimize their involvement you can reasonably expect the cost to fall between $12,000 and $15,000. A highly contentious divorce or custody issue will likely cost many thousands of dollars more. In the most contentious divorces, having an attorney that has the capacity to empathize while not allowing you to circle the drain and self destruct, or spend all your assets fighting over unimportant details will be invaluable, now and in the future. Assets, Children, Debt Resolution and Property Division – Requires a Retainer of $2500 to $10,000. Under special circumstances we will accept a payment schedule for up to one year.